give him the time he need... and the next Version of SE would be awesome. Only one Man work on these wonderfull Simulation. Dont forget this! That makes me wonder, does Space Engineer still work full-time on SE? That makes my wonder, does Space Engineer still work full-time on SE? The update will come when it is ready. Hey Guys, give him the time he need... and the next Version of SE would be awesome. Only one Man work on these wonderfull Simulation. Dont forget this! The link is here if you want to see for yourself. That picture is not accurate, it is edited. Yeah, the editing mostly revolved around adding a ton of bloom. IMAX cameras are pretty bloomy and all the space scenes really showed it, so I basically tried to mimic the look. Can't you edit bloom settings in one of the config files? Yeah, but it's not gonna look like that. You can change bloom settings in the graphics menu. I've read somewhere that the bloom in interstellar was done on purpose because audience wouldn't buy the image otherwise. Seeing as it's done for cinematic effect, I'm assuming the crew had to do a lot of tinkering to end up with the right look for the black hole. 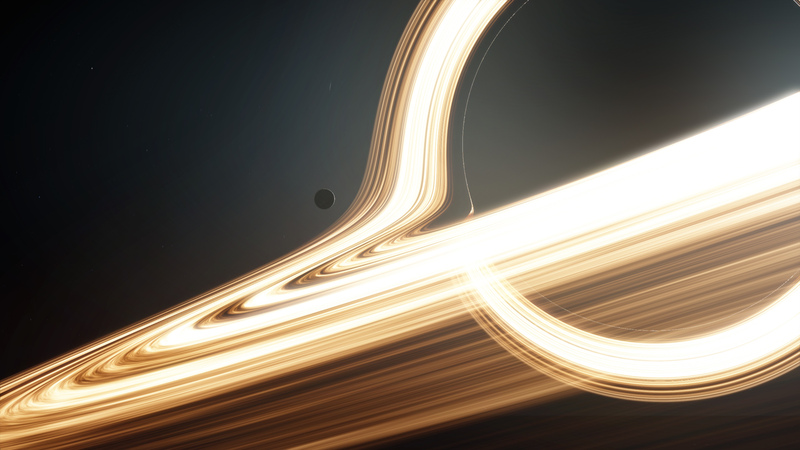 A program like SpaceEngine just isn't going to do such a thing in real time. Notwithstanding the fact that it's probably not super accurate as well. I think your best bet would be to use the cinematic effects from a program like sweetFX or something similar.